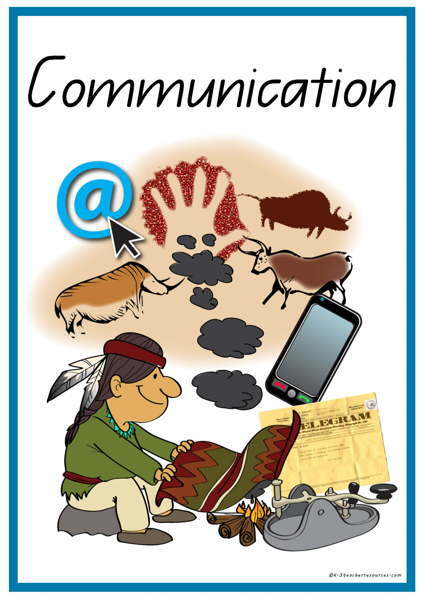 Communication Past and Present – Ideal for classroom bulletin boards, family lesson plans, reading and writing reference. Classify the communication words into ”Verbal” , ”Non-Verbal” / and ”Past” , ”Present”. In groups, children could research one of the ‘past’ ways of communicating and find 3 interesting facts about it to share with the rest of the class. Don’t forget you can print these at this size or smaller is you like by adjusting your printer settings.